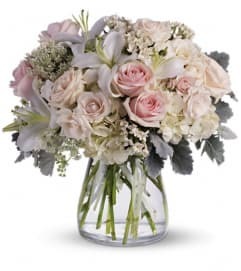 Console and comfort with this luxurious spray of lavender roses, alstroemeria and gladioli. 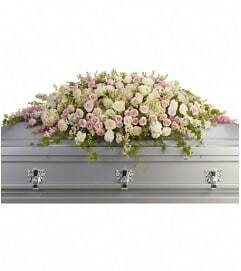 It's a majestic way to remember the departed at the memorial service. 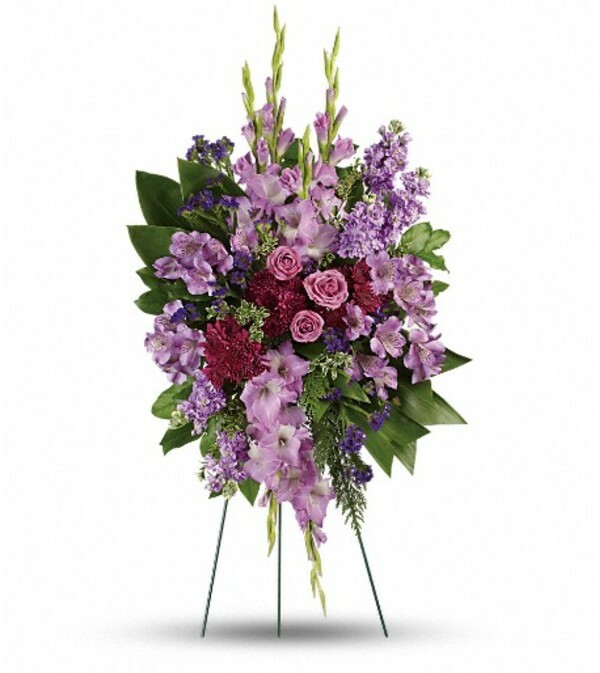 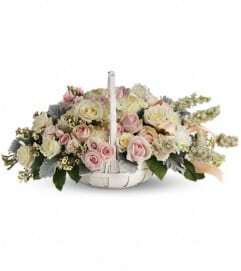 This regal spray includes lavender roses, lavender alstroemeria, lavender gladioli, lavender stock, purple cushion spray chrysanthemums, purple sinuata statice, green ti leaves, flat cedar, oregonia and lemon leaf.